A ton of arts, crafts and hand made skills at The Old Truman Brewery, Brick Lane including Philadelphia's own Fabric Horse; makers of cyclists' utility belts. Remember we posted recently about Fabric Horse, a little American company that makes cyclists' backpacks and D-Lock carriers from recycled materials? The cheerfully-coloured accessories have been available in a limited way in the UK up until now but according to founder Carrie Collins, "the full product line is available in London this weekend." 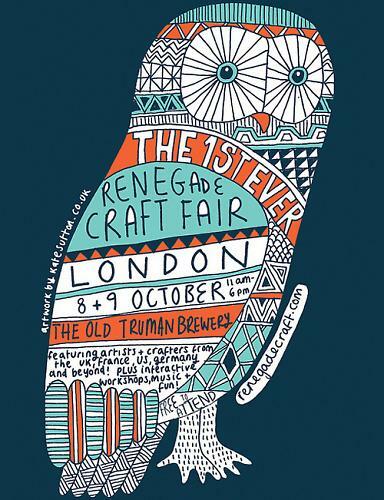 The Renegade Craft Fairs have so far been regular happenings in the USA's major cities such as Los Angeles, San Fransisco, Chicago and Austin, riding the wave of revived interest in hand crafting and recycled materials but this will be the first time they've ventured to Europe. "A selection of globally curated artists & independent businesses from London, and beyond!" as they put it. The venue for over 100 exhibitors will be The Old Truman Brewery off London's legendary Brick Lane. While you're there check out hot salt beef beigels and Brick Lane Bikes around the corner. Fabric Horse's $80 Little Yellow Bag wasn't in production when we wrote our last post. Wonder if it will be coming to London? 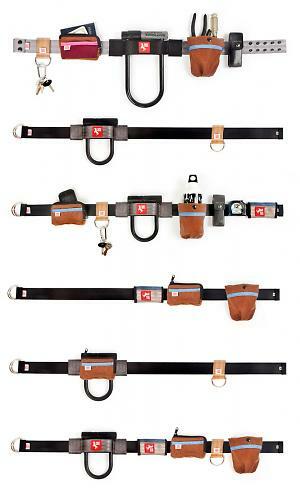 Some of the options possible in Fabric Horse belts and accessories.